"They've come in as a late contender for RFB's favourite new band of 2012 and looking to steal the title, even going as far as putting together a video full of cute cats for debut single 'Fresh Eyes'. 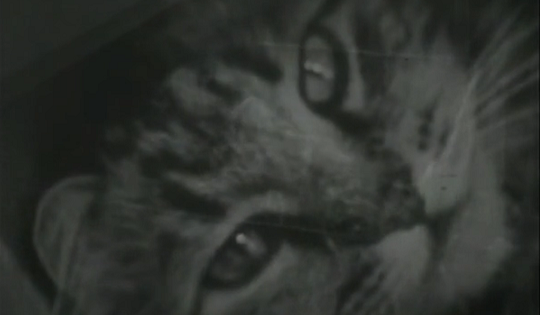 Nobody can resist cats..."
They've come in as a late contender for RFB's favourite new band of 2012 and Nautic are looking to steal the title, even going as far as putting together a video full of cute cats for debut single 'Fresh Eyes'. Nobody can resist cats. In honesty, we're sure there's more to their choice of video than the chance to tug at our heart strings, the grainy found footage actually provides an unexpectedly perfect visual accompaniment to the track making Laura Groves lyrics and voice sound all the more sincere and loving, it even brings something extra to Slime's incredible sax lines. Still, nobody can resist cats.